I enjoyed a fantastic time at the 2018 Four Winds Festival, held in Bermagui, on the far south coast of NSW. 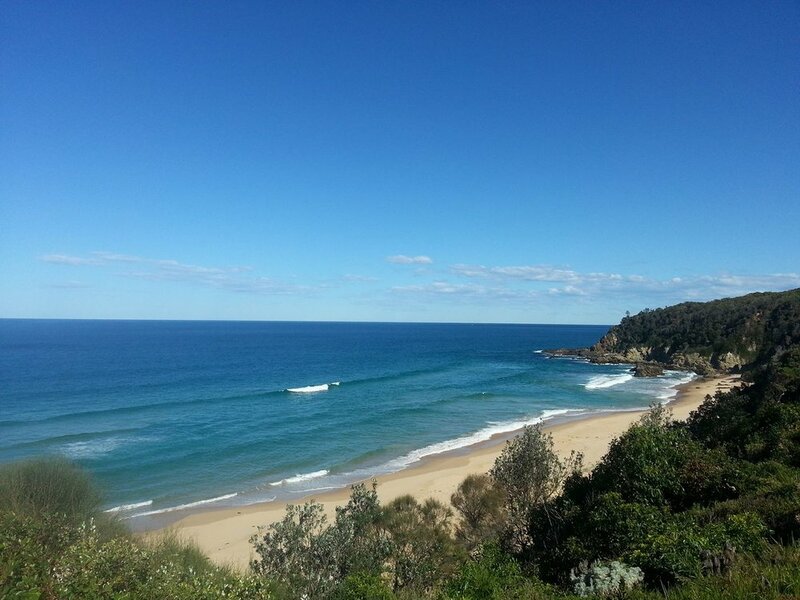 Check out the beach view below! It was inspiring to spend the week in such a beautiful area, hear wonderful new music (including two world premieres from Damian Barbeler and Tim Gellar! ), and experience the generosity of the locals and festival volunteers. I even saw a pod of dolphins from my bedroom window! Lloyd Van't Hoff performed my piece A Mad Tea-Party, for solo clarinet and electronics, in the 'Sideshow Alley' concert, produced by Sam Thomas. I originally wrote the piece in 2009 for Jason Noble, during my honours year. It's been insightful revisiting the work and redesigning the electronic component (Ableton Live). It's been great to collaborate with Lloyd. The show was an extravaganza of theatrics, humour, costume and lighting, as the Windsong Pavilion was transformed into an old-school sideshow alley. It was a whole heap of fun and lots of mad sounds were made! James Crabb (artistic director) | Australian Brass Quintet | Tamara-Anna Cislowska | Rohan Dasika | Djaadjawan Dancers | Alice Giles AM | Goldner String Quartet | Radical Son| Jack Liebeck | Jessie Lloyd | Ian Munro | Guy Noble | Emma Pearson | Maria Raspopova | David Rowden | Julian Smiles | Speak Percussion | Stonewave Taiko | Song Company | Aleksandr Tsiboulski, guitarist | Lloyd Van’t Hoff | Ariel Zuckermann. 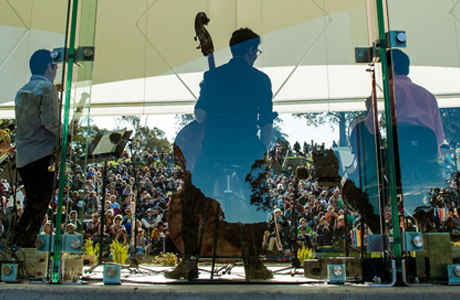 Sideshow Alley also features James Crabb (classical accordion), Tamara-Anna Cislowska, (piano), Rohan Daskia (double bass), Scott Kinmont (trombone), Emma Pearson (soprano), Eugene Ughetti (percussion), with Guy Noble (MC) and Jim Atkins (sound design). I'm also running a youth workshop (ages 8-16) on Sunday 1 April, called Sonic Postcards, where participants collect images and sounds from the Bermagui site to create soundscapes and mini-artworks. I'm delighted to announce that I've been awarded the inaugural Sue W Chamber Music Prize by the Sydney Conservatorium of Music for my piece Lobster Tales and Turtle Soup. The prize is awarded to a female composer whose submission is judged to be the best original chamber work. The judging panel, headed by the Sydney Conservatorium of Music’s Professor in Composition Liza Lim, praised the work for its “vitality and witty theatrical flair; its sophisticated scoring and stylistic interplay in a jazz idiom". 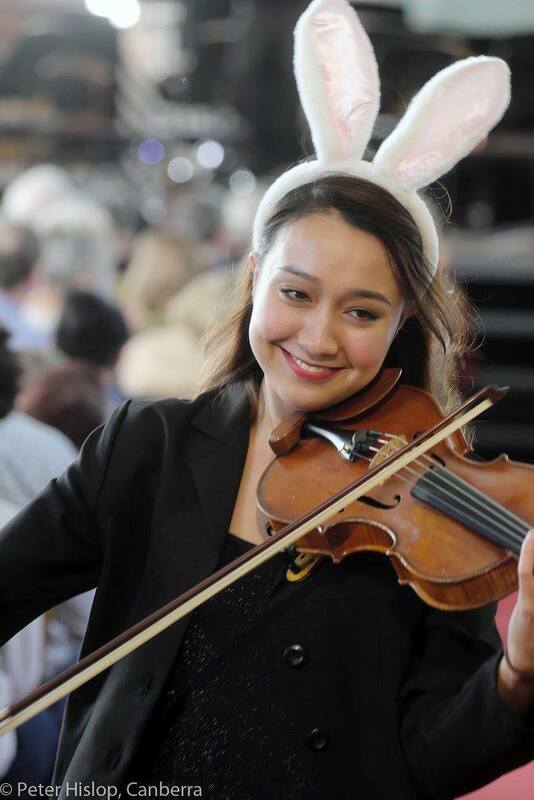 Inspired by Lewis Carroll's Alice books, Lobster Tales and Turtle Soup was written for Eighth Blackbird's Australian tour and Musica Viva's 2017 International Concert Season. The piece was commissioned by the Hildegard Project and Geoff Stearne. I'm very excited to be one of four composers taking part in the Tasmanian Symphony Orchestra's Composers' School in 2018 and 2019. The other composers are Ella Macens, Mark Holdsworth, and Harry Sdraulig. 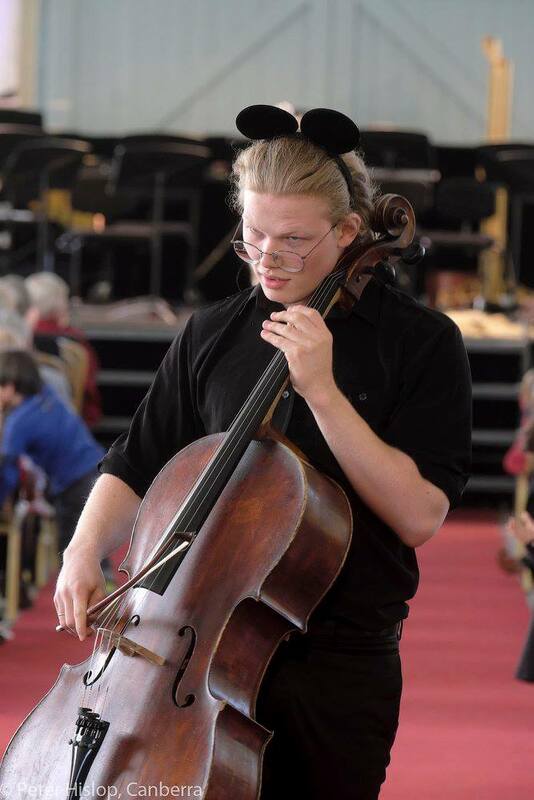 The revamped initiative is described by the TSO as a 'two year program aimed at identifying and preparing composers on the cusp of their professional careers as orchestral composers suitable for possible commission opportunities from professional orchestras upon graduation'. Frogstomp receives its first outing in Germany! Ensemble Garage, based in Cologne, perform my revised version of Frogstomp for the new instrumentation of flute/piccolo, baritone sax, and percussion on December 22. Check out the colourful poster! 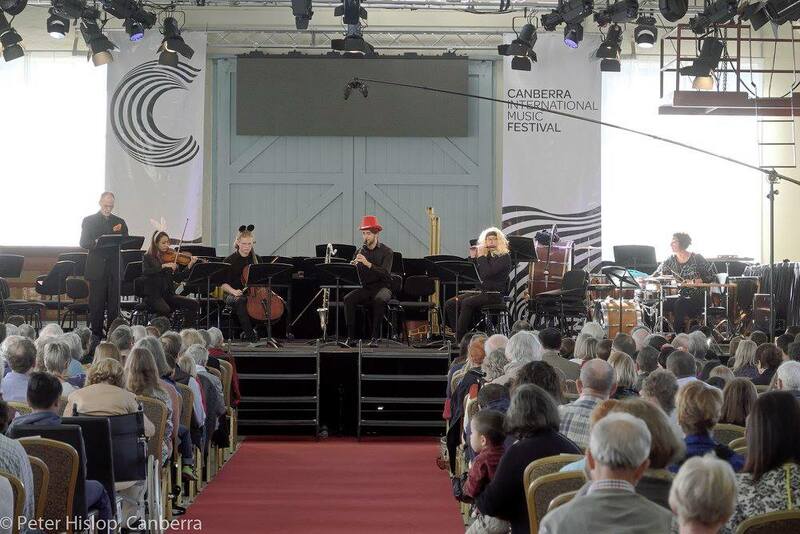 I'm looking forward to getting started on a fun new piece for children, The Mad Hatter's Tea Party, to be performed at the Canberra International Music Festival in May 2018, alongside Peter and the Wolf. The enduring charm of Prokofiev’s Peter and the Wolf justifies its place in any festival. 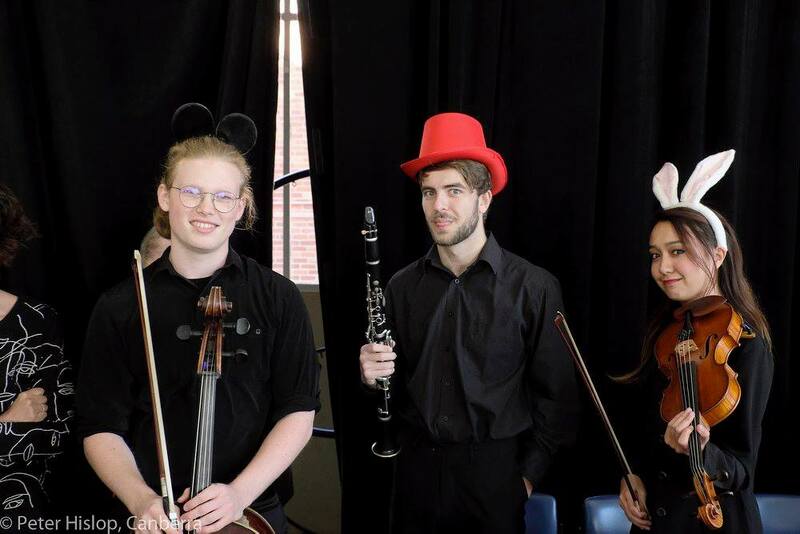 Young ears will also prick up for Lewis Carroll’s Mad Hatter’s Tea Party realised by five musicians representing Alice, the Mad Hatter, the Dormouse, the March Hare and … Time! The following excerpt from a review of the Five Elements premiere features some kind words about my fire piece 'Flash Point'. Thanks, John! Independent Theatre North Sydney on Sunday November 26. 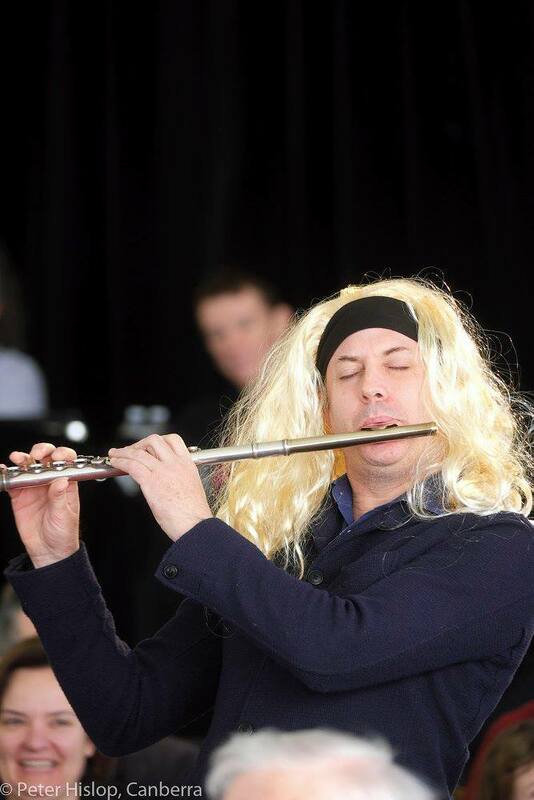 Ensemble Offspring play Vibe Rant (flute/clarinet/vibraphone) at The Melbourne Recital Centre on Tuesday, November 28. You can check out more details here. My latest work Flash Point received its premiere over the weekend by shakuhachi master Riley Lee and Enigma Quartet. The piece was commissioned as part of the ‘5 Elements’ project, which is based on the belief in many ancient cultures that the universe was made of five fundamental elements: Earth, Air, Water, Fire and Ether. Riley and Enigma performed eight new works for shakuhachi and string quartet by Ross Edwards, Anne Boyd, Gerard Brophy, Stuart Greenbaum, Katy Abbott, David Hirschfelder, Andrew Howes, and myself, alongside existing works by Lachlan Skipworth and Elena Kats-Chernin. Each composer drew inspiration from one of the five elements - mine is based on fire, hence the title! Stay tuned for a studio recording next year! Riley Lee & Enigma Quartet with fire lighting! 'In this program, Peggy, Lisa and interviewer-collaborators Leah Blankendaal, David John Lang, and Antonia Zappia explore questions of voice and style in the context of contemporary Australia. You can now hear the podcast from Ensemble Offspring's Kontiki Racket Festival in November last year. The podcast features the world premiere of my piece Vibe Rant, as well as premieres of Lachlan Skipworth's Intercurrent, Alex Pozniak's Extract, and Juan Felipe Waller's Detone Retune. 'Sizzle is contemporary classical music at the local bowlo. Now in it’s seventh year, Sizzle has become a fixture in the Inner West arts calendar. Ensemble Offspring will play two of my pieces, Frogstomp and Vibe Rant, as part of their 'Birdsong at Dawn' concert at Western Sydney University's Playhouse Theatre, March 30. The concert features works by female composers with a connection to WSU, and a theme of birdsong and croaks and creaks of native Australian fauna. Come along to see my squeaky frog toy back in action! Click here for more details. I've had a blast on tour with the delightful Eighth Blackbird. 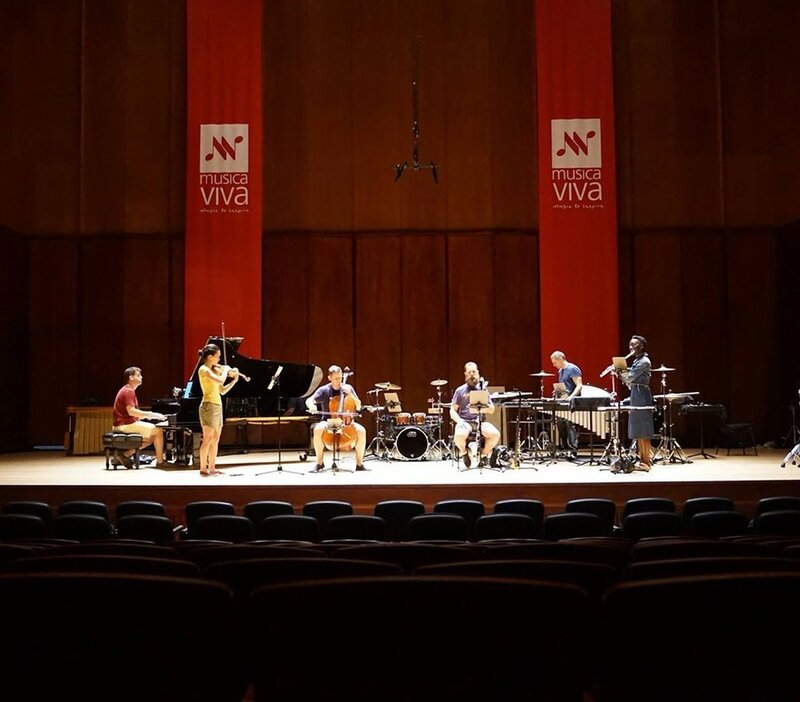 Many thanks to Musica Viva, the Hildegard Project, and Geoff Stearn for making it possible! From Perth beaches, Newcastle camels, Melbourne negronis, Brisbane Koalas, to hometown Sydney (+ rain). I'm a little sad I couldn't make it to Canberra or Adelaide! While in Melbourne, I met up with Megan Steller of Rehearsal Magazine for a quick chat about Lobster Tales and composer-y things. I had the pleasure of chatting with Radio Adelaide's Grahame Dudley about Musica Viva's Eighth Blackbird tour, my new work Lobster Tales, and all things Lewis Carroll a few days ago. You can listen again [here] under 'Classical Connection'. Yesterday afternoon I appeared on Fine Music's 'In Conversation' program with Michael Morton-Evans. You can listen to the interview (here), including songs/pieces of my choosing!